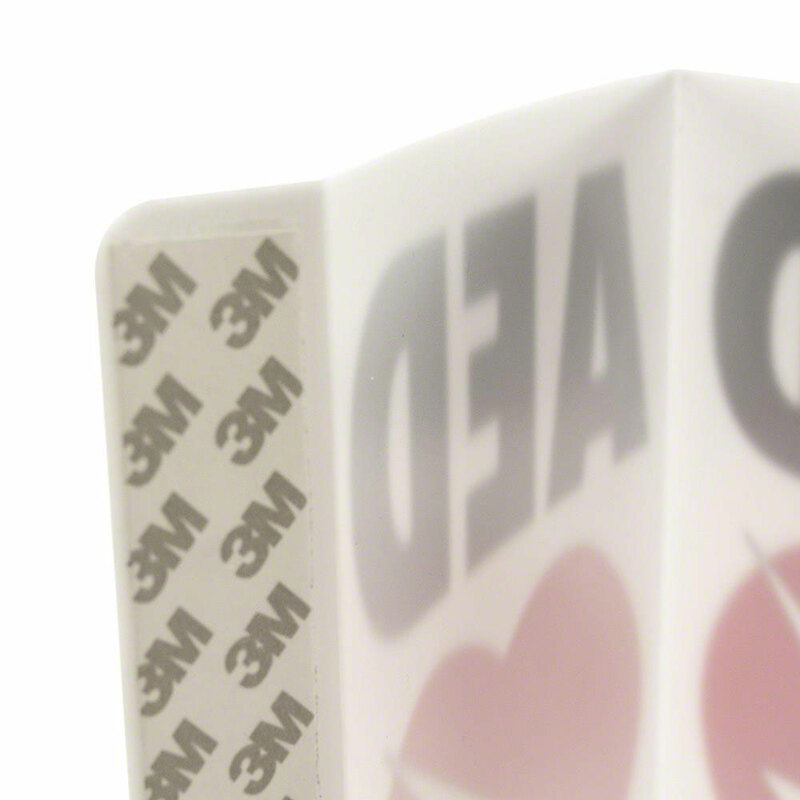 Other Notes: Three-dimensional, flexible AED wall sign to identify the location of your AED. 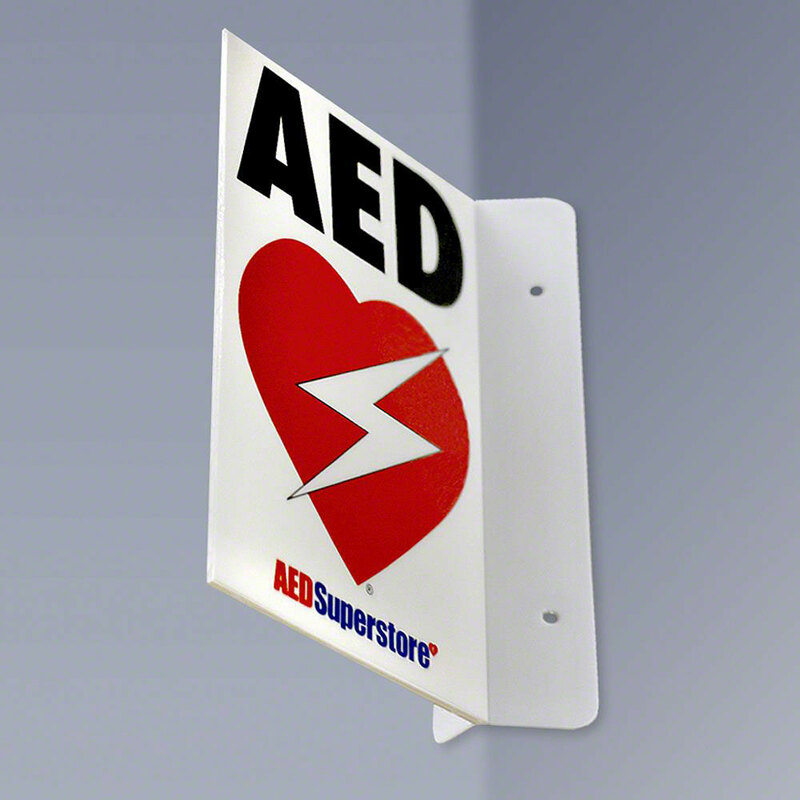 RespondER® Flexible AED Wall Sign. 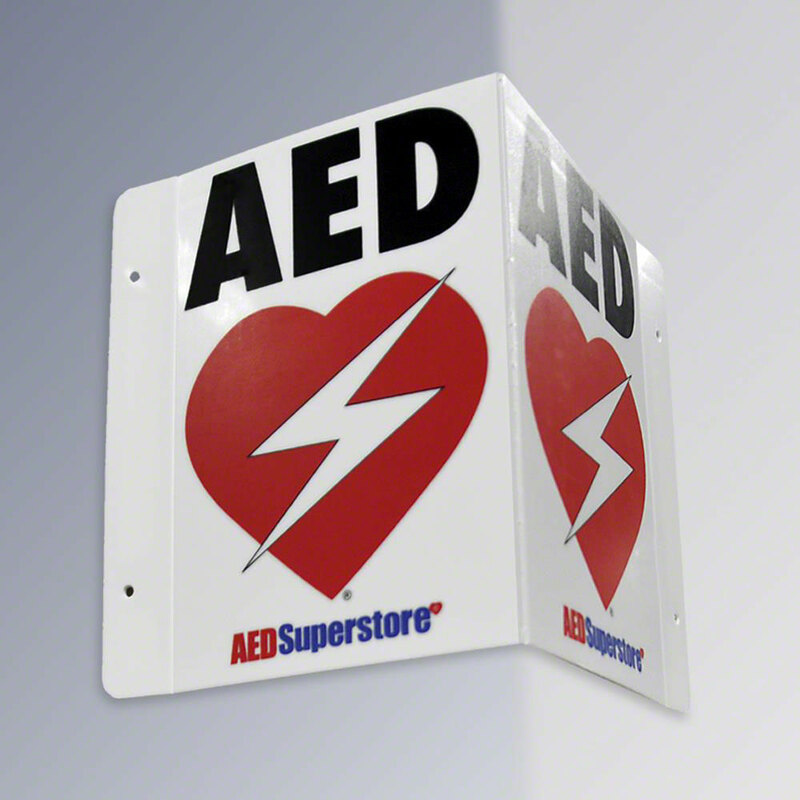 This flexible AED wall sign is designed to be mounted flat or can be adjusted to mount in three dimensions (projection-style). 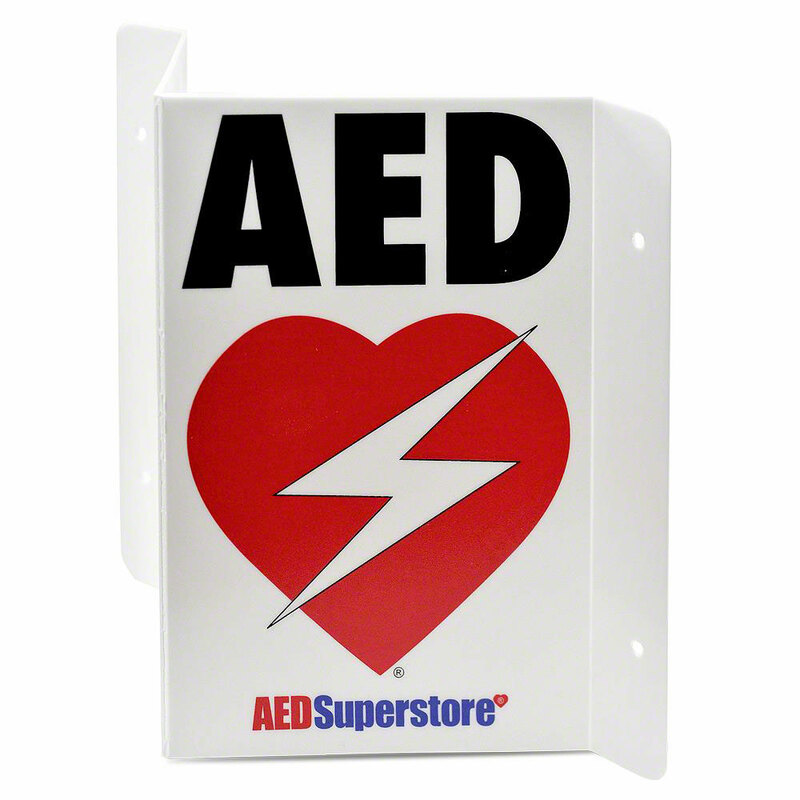 Show customers and employees where your AED is located. Black and Red on White. 14.75" x 9". Vinyl. 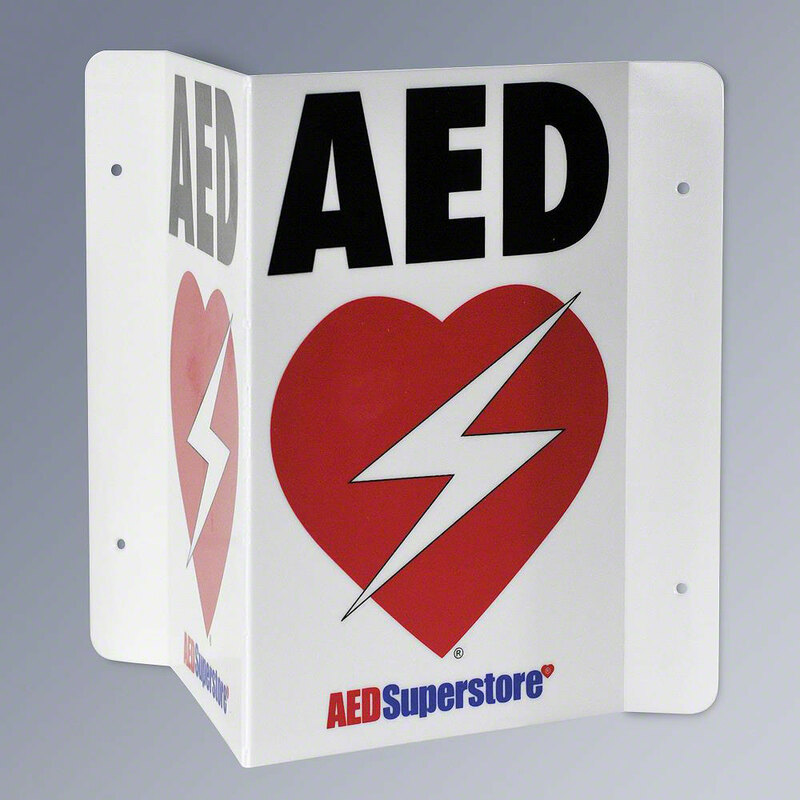 The Flexible AED Sign can be folded to mount it as a v-shaped 3-D configuration, or compressed together for a perpendicular format. It can also be folded on a wall corner for views in 2 directions, or completely flatten for a wide display. Attach the sign to the wall with screws (not included) using the holes provided or use the adhesive strips for quick wall mounting.